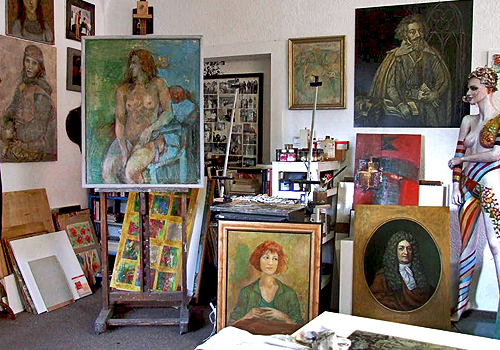 As painter and graphic artist in the region of Brandenburg, Manfred Neumann devotes his attention to several different genres: portraits, landscapes, nudes, still lifes, replicas and free compositions are among his favourite topics. In these he uses different techniques like Alla-Prima or Glaze in oil or acrylic paintings, collages and assemblages. In his drawings, coal, chalk, Sanguine or pencil are the most common tools.